Origin and Habitat: Aiquile, Cochabamba, Bolivia (Field number KK1800). Altitude range: 3000 metres above sea level. 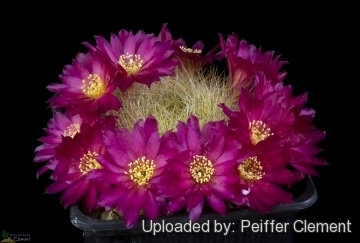 Description: Sulcorebutia cupreata is an undescribed name (nomen nudum - Abbreviation n. n. A title lacking valid description). 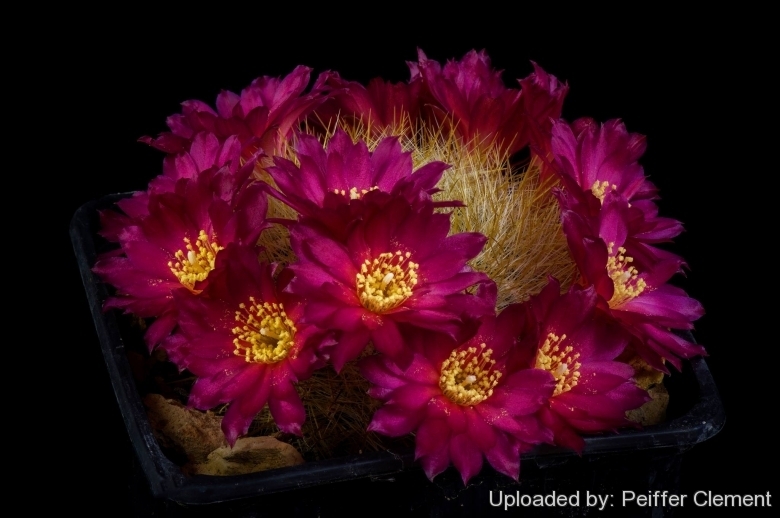 It was first named by the Czech cactus trader Karel Knize, resident in Lima, Peru. It has been said that Knize gave most of the plants he collected/sold new names to increase sales. Knize never properly described his plants, he just gave them names and sold them. He deliberately hunted down unusual looking things so it can be difficult to characterise them in terms of the existing described species. 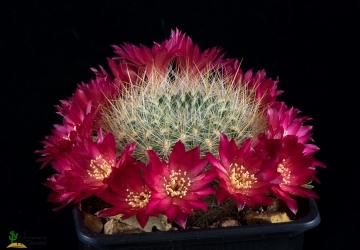 This “species” is somewhat similar to Sulcorebutia flavissima (Rebutia mentosa), but Rod and Ken Preston-Mafham, in their “Cacti: The Illustrated Dictionary” lists Sulcorebutia flavissima Rausch as an alternative name for Weingartia flavida F.H.Brandt, Sulcorebutia flavida (F.H.Brandt) Pilbeam and Sulcorebutia cupreata n.n. (Kníže ), but then who can say what it should really look like since Knize never described it. Derivation of specific name. Latin “Cupreatus,-a,-um” - copper coloured, possibly for the body colour? Areoles: White to brownish, oval. Radial spines: Protruding white to yellowish. Central spines: Long straight yellowish to yellowish-brown.